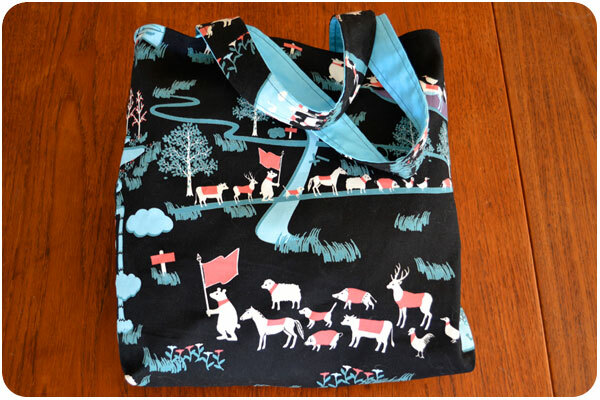 well, i said it and i meant it, i just finished my first project-based sewing class where we completed a simple yet very cute lined tote bag. i really enjoyed taking my time and doing everything right. this is easily the cleanest, strongest item i’ve ever sewn, due in part to having such a solid machine. and this print is so cute, i think i might have to find an excuse to buy a couple yards of all the prints i’m in love with and make a bunch of pillow cases. i’m currently taking classes with sew LA, a cute fabric shop originally from silver lake which just moved to atwater village, offering classes in the back half of a boutique fabric shop. next month i’ll work on a simple skirt and a dress, and beyond that i’ll see if i’m up for pattern making. it’s so fun!